Fancy a ~£65 (75 Euros) Booking.com discount off your next hotel stay? All you have to do is follow the steps below. 75 Euros is worth roughly £65 at the moment. 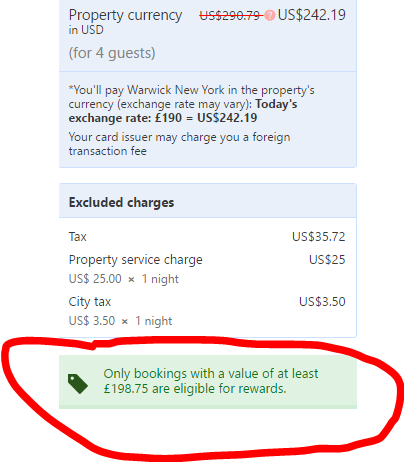 Booking.com promotions are a bit odd, in that rather than discounting the amount charged before you pay, they ask you to pay the full amount and then refund whatever the promotion offered back to your card later. Strange, but it seems to work out ok. I would recommend taking screenshots as you book though, just in case there are any technical issues with the refund. I wasn’t entirely certain the 75 Euro promotion would work with a UK based Booking.com account, so I did some tests and it seems absolutely fine. To add an extra layer of complexity, I even looked up some hotels in the USA and the site dealt with the various currency issues without any problems, consistently showing the promotion correctly on the final booking page. If you’re not looking to spend so much, remember that the previous $40 off $80 offer might still be working too – have a read of details here. Also, if you don’t already have an account with Booking.com, sign up here and you can get £15 back with your first stay of £30+ (I also get a referral bonus – so thanks!). Note that these offers don’t stack, you have to use them one at a time. The £15 signup bonus only applies to your first booking, while the other offers can be used any time, so if you’re making a number of different bookings it makes sense to start with the £15 offer first. It’s a little unclear whether you can take advantage of the 75 Euro offer if you’ve already used the $40 one, but I think you can. If it’s showing up on the booking screen as above, I would personally be tempted to risk it – just be prepared to argue your case if required (take screenshots!). Within a reasonable time after your stay, you must either create a user account and save a valid credit card in the account settings or provide a valid credit card on the provided digital form in order to obtain the reward as a credit to your credit card — and the American Express card is not currently an accepted credit card (for receiving a credit). 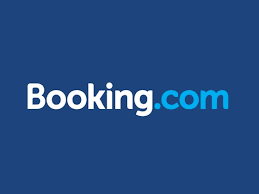 Booking.com will only recognize one eligible reservation per participant per campaign to count for an incentive bonus; and you may only receive incentive bonuses from a maximum of three different campaigns per year — including Refer-a-Friend campaigns. It’s good to see another variation of the Booking.com discount. For a company that did very little in terms of promotions for a long time, these offers are surprisingly generous. 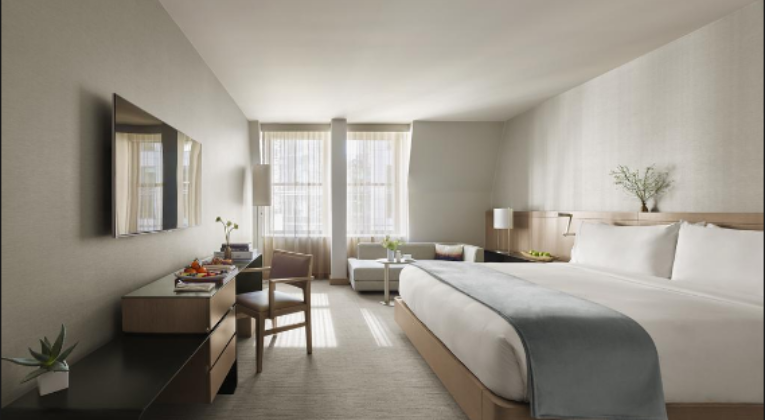 Between the sign up bonus and the other promotions mentioned above, you could get a very nice deal indeed on your next few hotel stays (or break up a multiple night stay into separate bookings). Always check hotel rates elsewhere too though, of course, and take into account the value you might be giving up in terms of Points/status benefits when not booking directly with a hotel group. For example, if I wanted to stay at a Radisson Blu / Park Plaza/ Park Inn/ etc any time soon, I’d still definitely book direct in order to make the most of the new ‘Free Friday’ promotion. Hi Joe, how did you manage that screenshot? Even though i get the pop up at the bottom assuring I’ll get the 75euro back it doesnt show up in the final price like it did in yours. Is this before you confirm your details? Thanks! Unfortunately, I’m not really sure what to suggest – I just tested again (on 3 different accounts) and it seemed to work exactly as before for me. The notification should be on the left side of the final confirmation page (just before you click to pay), under the total price, stating “After your booking has been verified and confirmed, you’ll receive your 75 Euro reward!”. Asking Booking.com to help is the only thing I can think of, or maybe try a different browser (I used Google Chrome each time). Apologies for not being able to be more helpful! Thanks Joe no worries, i’ll give it a try from home. Any idea how long the promo will run for and for what dates the discount is eligible ? Or do there seem to be no restrictions on that ? I had thought the $$0 off $80 would only work on US accounts. Are your accounts US accopunts, UK accounts or another EU country account ? 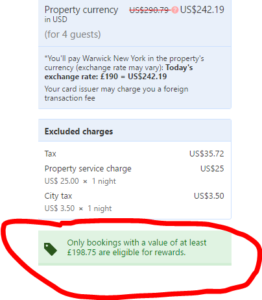 The Booking.com terms are pretty vague and unhelpful to be honest (https://www.booking.com/content/referral-terms.en-gb.html?aid=1229592;label=refer-UmFuZG9tSVYkc2RlIyh9YYcM0mR3uRSgoJHObf-hp93FJ8HICmVbi6BWEtq97gUuIWfEjLjxbZEAYstoJQSlKQ;sid=bfc50a45857df957e6c7918d21bd613a;is_incentive=1). On the basis that I can’t see anything in them to the contrary and based on my experiments, I’d say that as long as you can see the rebate mentioned on the final booking page before you click confirm (and take a screenshot just in case) you should be fine. I was only looking at dates for this Summer personally, but suspect the promo will work for any dates – just make sure it shows on the final booking page. As regards how long it will last, I can’t see any info, but the $40 has been around quite a while. They could decide to pull it tomorrow or leave it up for ages. My accounts are UK – the site seems surprisingly good at juggling any currency issues. Most recent link to get reward! Hello Guys, My name’s Ozzy. If you want to help visit my website. 2) Use this link and get EUR 15 reward with Booking from EUR 30 ! !